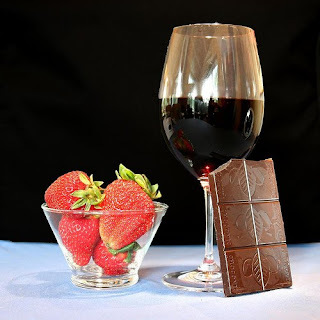 Celebrate Valentine's Day with wineries of the Vines and Wines Trail (Northeast Ohio) during the special Chocolate is for Lovers wine trail event. This is a self driving tour. You have two weekends (Friday and Saturday, noon to 6:00 p.m.) to visit each of the participating wineries on the trail. Dates are February 5, 6 and 12 and 13. At a designated winery, you will pick up a heart shaped candy dish and a Schott Zwiesel crystal wine glass. As you travel the trail, you will receive one or two samples of wine and an appetizer (per person), along with a chocolate candy to fill your candy dish. The cost is $45 per couple and $35 per single. For additional details, go to the Ohio Wines Web site or call (800) 227-6972. Tickets are limited and going fast, so hurry. The last event (Tannenbaum Trail) was a sell out. So to be sure you aren't left out, get your tickets as soon as possible. Old Firehouse Winery, Geneva-on-the-Lake, (440) 466-9300; The Barrel Room Winery, Wickliffe, (440) 943-2660; The Winery at Spring Hill, Geneva, (440) 466-7480; Virant Family Winery, Geneva, (440) 466-6279.